Buy Countdown To Classic a Coffee. ko-fi.com/countdowntoclassic - Ko-fi ❤️ Where creators get paid by fans, with a 'Buy Me a Coffee' button. A podcast that educates, informs and gossips about World Of Warcraft: Classic. Hi Everyone! If you're a listener of the show and are loving the warm fuzzy feeling of the WoW vanilla content then please do feel free to buy me a coffee here, thanks so much in advance and can't wait to bring you more! Secured Payments. 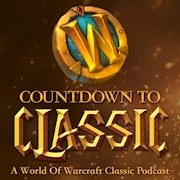 Support goes to Countdown To Classic's account. Upgrade Countdown To Classic to a yearly Gold Membership with a one-time payment.